The noisy art rock trio bring together influences of indie, punk and garage that form the musical basis for their politically-charged lyrics. With a social conscience highlighting the change and unrest in the world, their myriad of styles mirrors the many faces of our evolving world. Mutiny Mutiny began in 2009, and founding members Jason Dean and Jenn Schmidt have continued honing their unique take on post-punk through two full-length releases and three drummers. 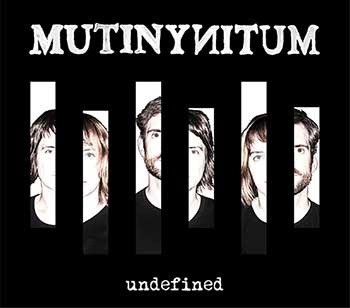 With the addition of second guitarist Julie D in 2014, Mutiny Mutiny continues to evolve while keeping the basics the same: Intricate guitar/bass work, powerful dynamics, and lyrics that observe the human condition and events of our time.